KitchenAid is one of the three top dishwasher brands along with Miele and Bosch. You should consider their products. It is relatively straightforward to buy as they have reduced their models. You should only look at three models yet I will show you one more - their inordinately expensive dishwasher with a window. First, we will look at the company, their four best dishwashers, and then we will compare them with Bosch and Miele. KitchenAid was first manufactured by the commercial Hobart company. For years, they were the premium dishwasher. Whirlpool bought the company in the early 1990s. Around the same time, Bosch and Miele imported quieter dishwashers with stainless steel tanks. KitchenAid responded years later with quieter stainless dishwashers. They removed their grinders and added filters becoming like their European competitors. 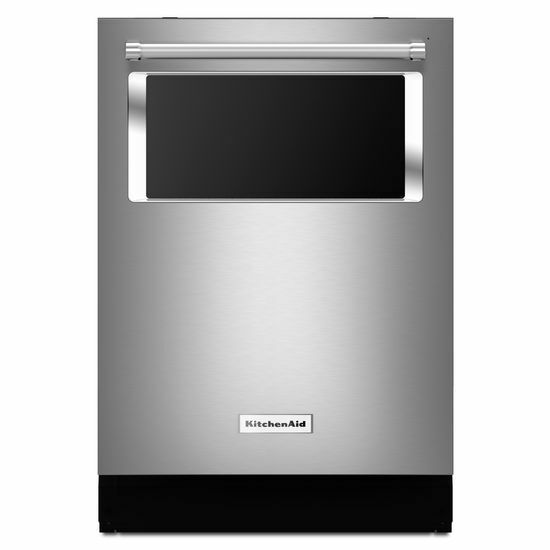 In fact, now KitchenAid is amongst the most quiet dishwashers on the market with dishwasher at 39 dBAs. When is the Best Time to Buy a KitchenAid Dishwasher? Appliances have become promotional like consumer electronics. The consumer rebates can be huge resulting in price fluctuations up to 40%. The best time to buy is definitely Black Friday (which now starts November 1 to December 1). Labor Day, Memorial Day, and President's Day are also good times for price reductions. Wait if you can. The price is usually worth the wait, although you may also need to replace an old dishwasher quickly. KitchenAid does not have any promotional models designed for you not to buy. 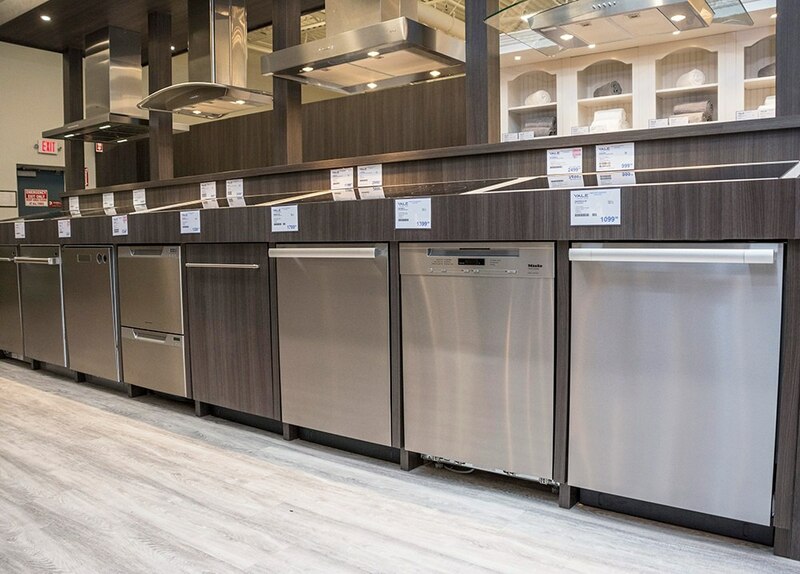 All their dishwashers have stainless tanks and are quiet and full-featured. The KDFE104DSS has every cycle including their ProWash cycle (an extended wash) with soil sensing capabilities, light/china for your better stemware along with normal and shorter express washes. You also have a ton of options like heated or air drying, Sani Rinse, and a high-temperature wash for better scouring of dishes with baked-on food particles. This has a good feature package for a reasonable amount of money. You have the same features on this dishwasher as the previous. The pocket handle is different but illuminates to show you cycles. The only real difference is the third rack for silverware. Third racks are an awesome feature because they allow you to place more dishes in the dishwasher and have a dedicated spot for silverware. 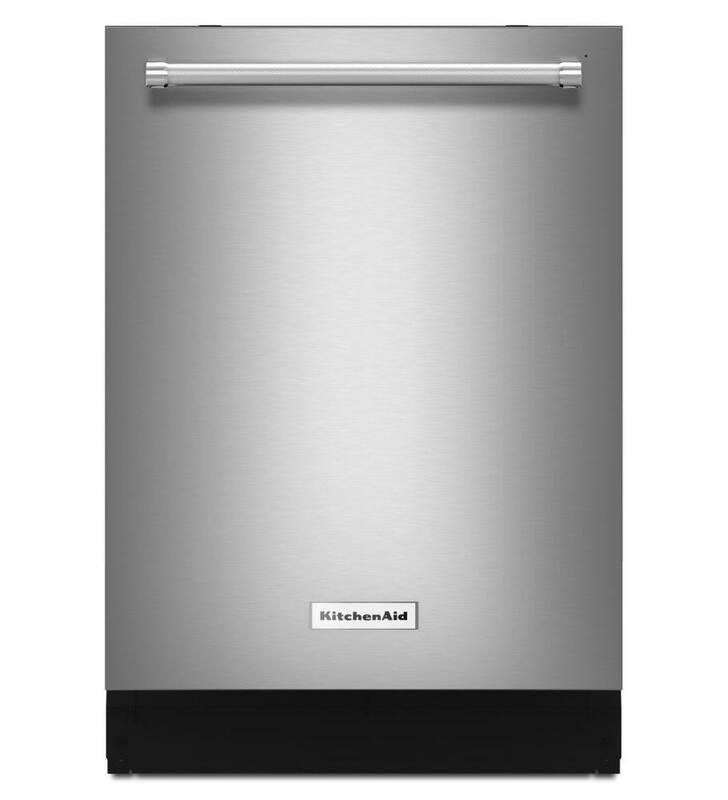 Our best-selling KitchenAid dishwasher is only 39 dBAs. The others are quiet at 46 dBAs. At 39, this is 70% quieter than that. You will not hear it working at all. The ProScrub is an excellent feature as well. It is a series of concentrated sprays to thoroughly wash your lasagna pans and other baked on dishes. This dishwasher has similar features to the previous one. Their ProDry is similar to Miele allowing cooler, outside air to dry your dishes. It has the "cool factor" of having a window to check out your dishes in the wash cycle. However, it is not as quiet at 44 dBAs and is considerably more expensive. How does KitchenAid compare to Miele and Bosch? In many ways, KitchenAid has become an European dishwasher like Bosch and Miele by mostly replacing their grinder or disposer with a washable filter for a quieter dishwasher. KitchenAid is more promotional and is cheaper around the holidays. The dishwasher will have more features, especially for the price. Miele will be almost twice as much of the same features. Bosch will be $100-200 more. Miele has the best drying cycle with the air intake and is more reliable than KitchenAid and Bosch. Bosch is the runner-up in terms of reliability. KitchenAid is still one of the best dishwashers available on the market. You do not have to buy their best dishwasher either for an excellent dishwasher. 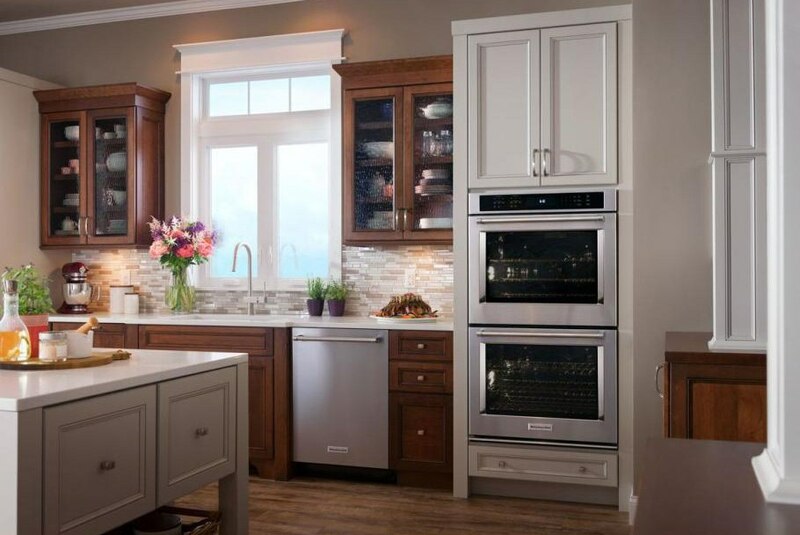 The top three dishwashers we showed are the best value for your needs. 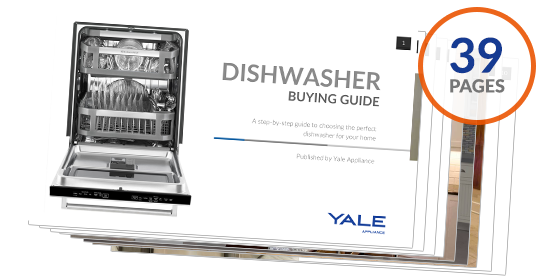 Get the Yale Dishwasher Buying Guide with features, specs, and inside tips to all the brands. Over 240,000 people have read and trusted a Yale Guide.